SEATTLE, Feb. 12, 2019 /PRNewswire/ -- Two students were awarded scholarships to help with their college tuition, courtesy of Healthy Paws Pet Insurance's academic scholarship program. Both recipients have proven excellence in their studies while logging in many hours volunteering for their communities, sharing in our goal of helping as many animals as we collectively can. "Healthy Paws supports rescues and nonprofit organizations, but we also want to invest in the next generation of veterinarians," says Rob Jackson, co-founder and CEO of Healthy Paws Pet Insurance. "After reviewing the entries we determined that Kat and Pooja are ideal candidates to receive these scholarships. Kat Kennedy, Animal Advocate Scholarship recipient, is currently pursuing veterinary medicine at Johnson County Community College in Kansas. She's always felt a kinship and responsibility for animals, leading her to volunteer at various rescue organizations before landing at one in Georgia that took in abused, neglected and surrendered animals. Her passion for helping those animals has led her to pursue a vet degree. "Any support I receive on my journey to becoming a professional animal advocate is appreciated, but this scholarship in particular is especially encouraging for me," says Kat. "It is yet another sign that I am on the right path towards doing what I was meant to do in this world which is to help animals. We are the first and last line of defense for vulnerable and needy animals." Pooja Patel, Veterinary Student Scholarship recipient, is enrolled in the veterinary medicine program at the University of Pennsylvania. An active volunteer at the Delaware SPCA, Pooja takes time every month to help at their pop-up vet clinic that assists low income pet parents get their animals an annual checkup and any necessary healthcare. After graduation, she plans to work at a small animal practice that offers a variety of services at a lower, more affordable cost. "From a young age I was taught to give back and make the world a better place by having humility and working hard," says Pooja. "My Guru always lives by the words 'In the joy of other's lies our own,' and I plan on using these values which I have learned in my career as a veterinarian. This scholarship will help me be able to take advantage of opportunities like traveling to other places for externships and learn valuable skills and also allow me to broaden my skill sets. I'll also be able to spend more time volunteering at shelters and help those without the monetary means or care to get the service they too deserve." Healthy Paws is now accepting scholarship applications for the Fall 2019 semester. The application deadline is June 30, 2019. Applications can be submitted online at https://www.healthypawspetinsurance.com/academic-scholarships. Healthy Paws is one of the leading pet insurance program providers in the U.S. for dogs and cats and ranked #1 by customers on leading review websites. Policies are underwritten and issued by ACE American Insurance Company, Indemnity Insurance Company of North America, ACE Property & Casualty Insurance Company, Atlantic Employers Insurance Company, Westchester Fire Insurance Company, members of the Chubb Group. 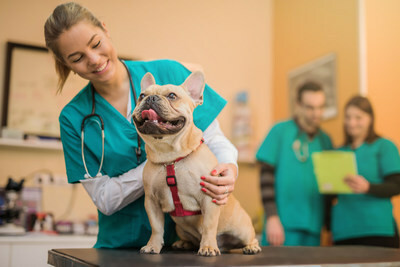 For more information about Healthy Paws Pet Insurance, visit https://www.healthypawspetinsurance.com.